Would you go on a date with your specs covered in grease from your sweaty mitts? No? Then you shouldn’t drive around town with a windshield that’s slowly taken on a layer of grime, thanks to deteriorating rubber blades. 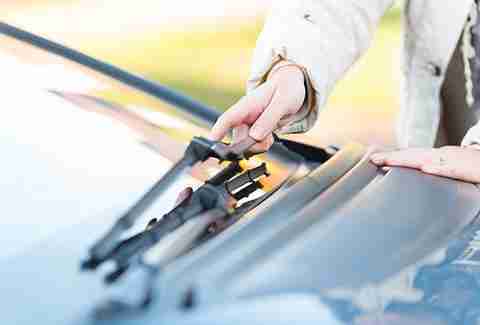 Most experts recommend swapping your old wiper blades out for new ones every six months. The cost (between $10 and $25) is worth it -- for a clearer, prettier Instagram-worthy sunset view -- but only from the passenger seat, of course. Yeah, we are about to get all fatherly up in here. Like Dad always said: bald, worn out tires provide less control on the road, and worse braking. Turn to a founding father -- Abe Lincoln -- to see if yours need replacing. 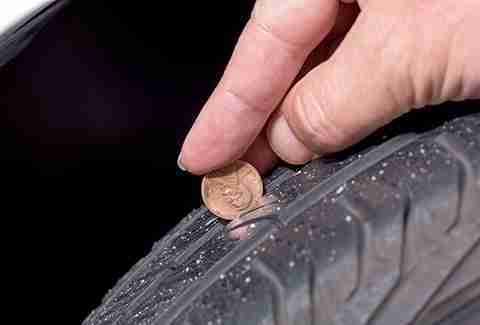 Grab a penny and put it Lincoln-head down in one of the tread grooves, if part of Honest Abe’s head is always covered by rubber, you likely don’t need need to replace your tires. If you can see all of Abe, it’s probably time for a fresh set. 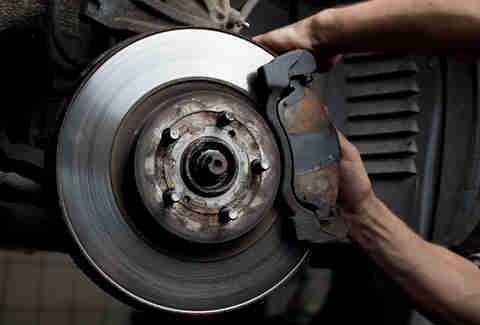 It shouldn’t need to be said, but never neglect the warning signs that your brakes need care. Even if you don’t see a brake warning light, hearing squeaking, squealing, or other odd noises coming from your brakes might mean that your pads or rotors need to be replaced. Don’t just turn up your music to try to drown out the sound -- deal with it! Before the magic of internal combustion begins, an air filter prevents dust and debris from getting into your engine, where oxygen and fuel meet to make sweet, sweet love. Like a bouncer outside of the backstage. But when it’s clogged, an air filter can’t do its job properly, and your car’s ability to accelerate can be cut by as much as eleven percent. That’s why it’s vital to change yours at an annual interval, or earlier, if your manufacturer recommends it. If your car's owner's manual doesnt call for premium fuel, don't use it -- higher octane fuel doesn't provide higher performance for engines that don't need it. Again, read the manual to find out what your car requires. But that doesn’t mean you should buy the most bargain-basement gas you can find from some off-brand station you've never heard of. 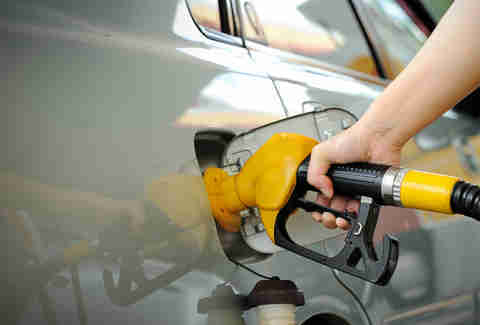 “When you’re using the cheapest gas in town, you could be getting what you pay for,” says Findley. 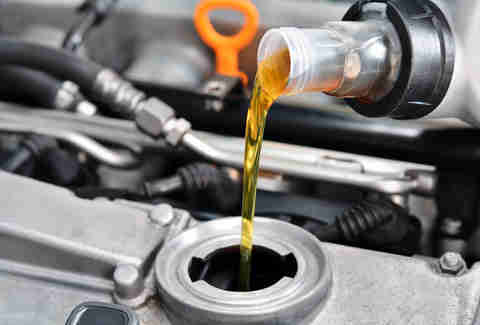 Coolant absorbs the heat of the engine and disperses it. Seriously, you should have it flushed once a year with a mix that’s fifty percent coolant, fifty percent distilled water to ensure endless chill for your ride. 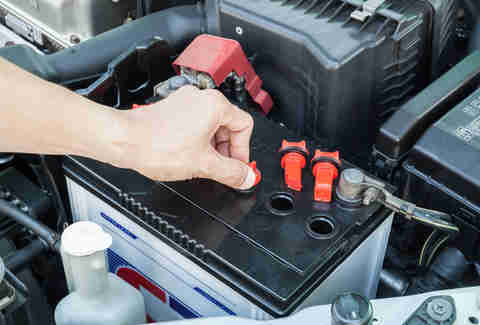 The phrase “Looking good, feeling good” doesn’t just apply to your gym routine -- it applies to your car battery too. Dirt and oil can drain your battery’s current and shorten its life, so treat it to a shammy. Check the terminals for corrosion and apply a mixture of baking soda and water if they’re crusty. You don’t use dishwashing soap to wash your princely mane in the shower and you shouldn’t use it to wash your car, either. Dish soap’s abrasive nature wears down the finish of your car and can lead to a dull sheen and oxidized paint. Most car soaps are pH balanced and can give your ride the sweet caress it deserves. Always consult your vehicle’s owner’s manual for compatibility and warranty information.